The profession of court reporting is thousands of years old; its roots can be traced back to 63 B.C., when Marcus Tullius Tiro employed shorthand reporting as Cicero's secretary. It requires high skill, accuracy and a broad range of learning. 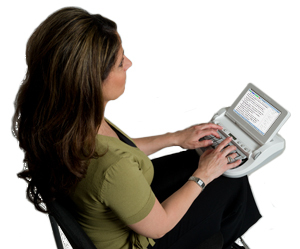 To establish and maintain a proper standard of proficiency in the profession of stenographic reporting. To establish and maintain a proper standard of professional competence, performance, and ethics. To foster professional and social contacts among its members. To promote enactment of just and equitable laws upon the subject of stenographic reporting. To protect the public against the imposition of incompetent and unethical stenographic reporters. To promote by all proper and legitimate means a broader understanding and acceptance of professional stenographic reporters in the State of Indiana, as indispensable to the judicial system. To promote compliance with all applicable laws, including antitrust laws. To conduct educational seminars and conferences and to stimulate and encourage the adoption of adequate training, education, and programs for personnel in the field of verbatim stenographic reporting.